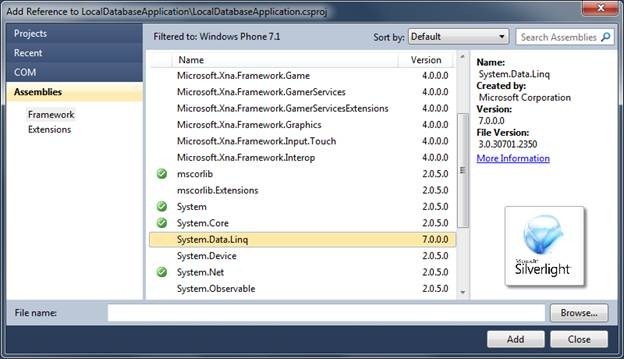 Local data base support in windows phone 7.1 is enabled via LINQ to SQL. 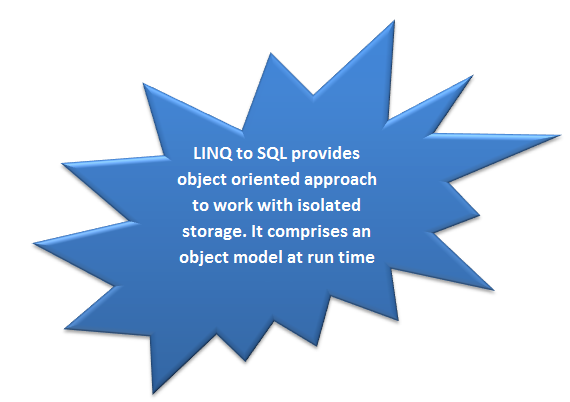 LINQ to SQL enables application to use isolated storage as database. Each application is having own isolated storage and LINQ to SQL in Windows 7.1 enables us to use that as local database. 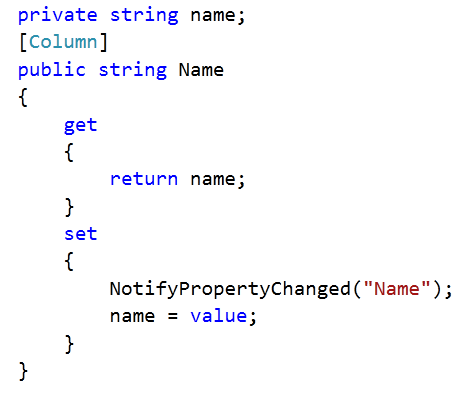 LINQ to SQL gives us object model to work with local database. · Local database does not support TSQL. Add detail of blogger to local database. 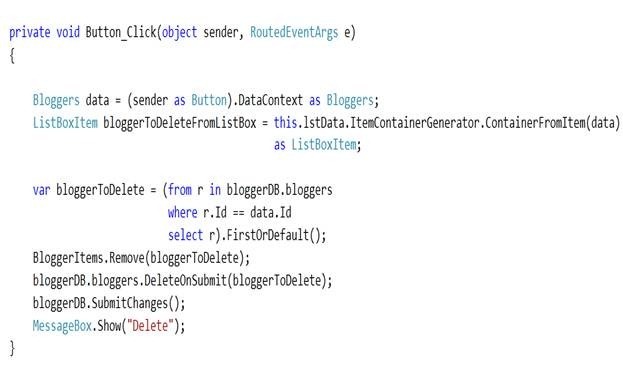 Delete blogger from the local database. Page will get refreshed dynamically. 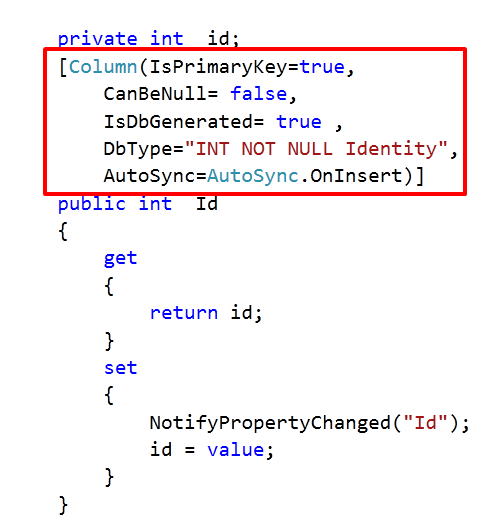 Create a windows phone application by choosing target framework 7.1.After creation of project add reference of System.Data.Linq to the project. Let us go ahead and decide on database schema and entity of database.. I am going to have table called Bloggers in database. To represent table you need to create an entity class. 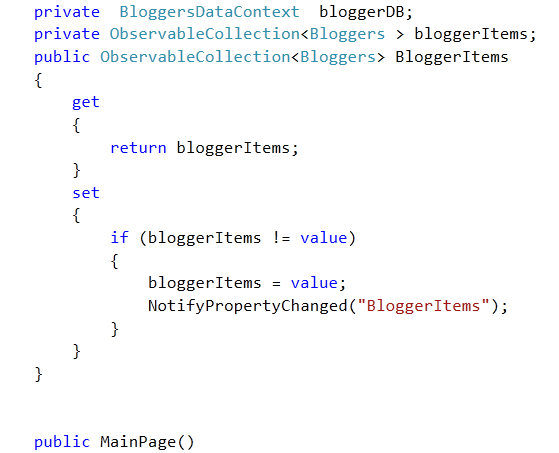 I am implementing INotifyPropertyChanged interface to support two way binding. However you can choose not to implement and this interface has nothing to do with local database support. Now each column of the table will be mapped to a property in the entity class as below. Name property is representing Name column of table. You will have to create properties like below for all the columns you want as part of table. You must have a primary key column in the table and that could be created by giving extra parameter to column attribute. In this way you have created entity class representing Bloggers table. Check whether databases exist or not? If not exist then create database. You will have to perform above two steps at application constructor. 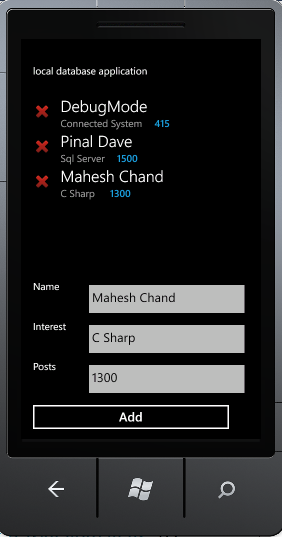 So code will be added to App.xaml.cs. Adding new record is very much straightforward. You can use simple LINQ query to fetch all the records. lstData is name of list box here. 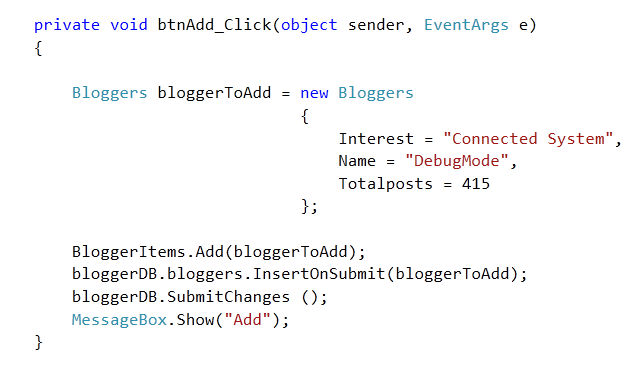 Previous PostFetching selected value from List Box in SilverlightNext PostCheck Windows Azure Roles instance running in Emulator?